When you want to break from jeans but feel a bit fussy in dress pants, mustering a clever outfit can be challenging. It’s especially tricky if you’re inspired by fashion-forward pieces, trendy looks that toe the line of professionalism (even though you’re always appropriate, of course). You know the ones: bold prints, splashy hues, and graphic stripes really speak to you—and you want to showcase your directional taste without appearing unprofesh. 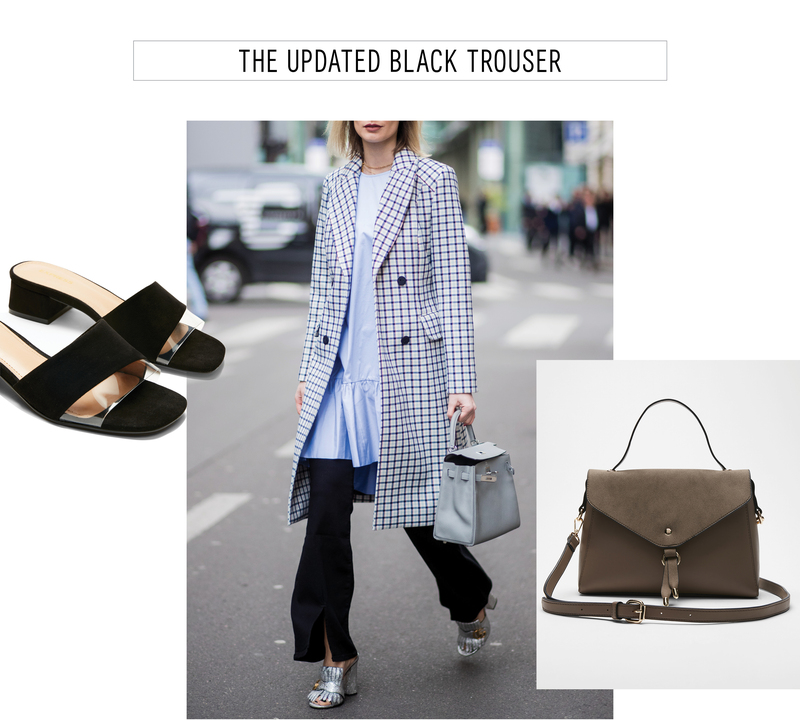 Or are you the type that sticks to classics like a fail-safe black trouser? In that case, it’s up to so-now accessories to drive your look forward. Wherever you lie, the ladies of the street style circuit are pros when it comes to pulling off a flawless pants ensemble and can offer up an inspired view for navigating spring’s freshest styles which include everything from paper-bag waists and wide-legs to polished plaids and bright colors. Ahead, we’ve assembled five fresh ideas for rocking a range of pants styles with fashion-girl flare. 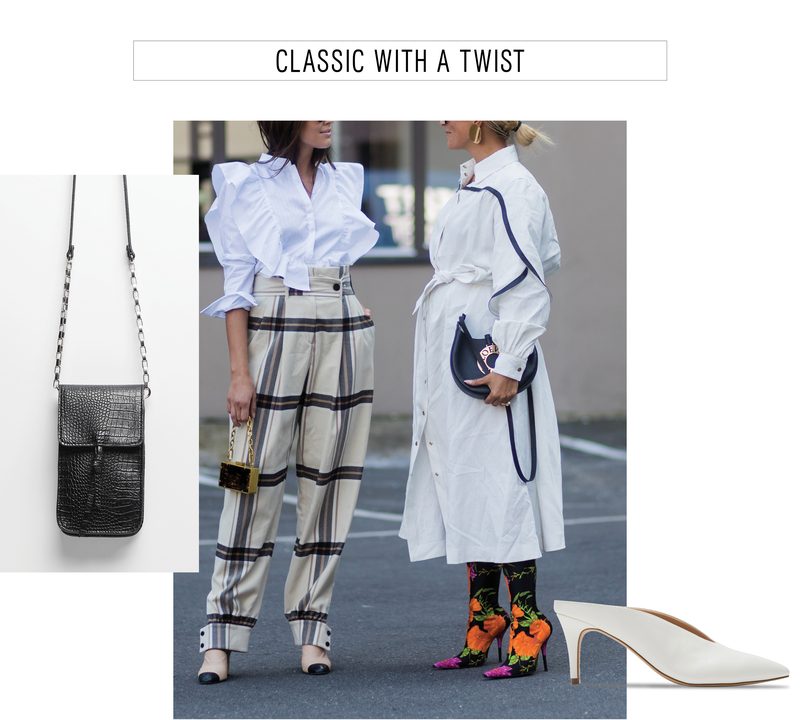 These creative formulas are sure to up the ante whether you go for a crisp white crop, perky shade of yellow, or vivid stripe. A simple crop trouser is timeless, but needn’t feel boring. 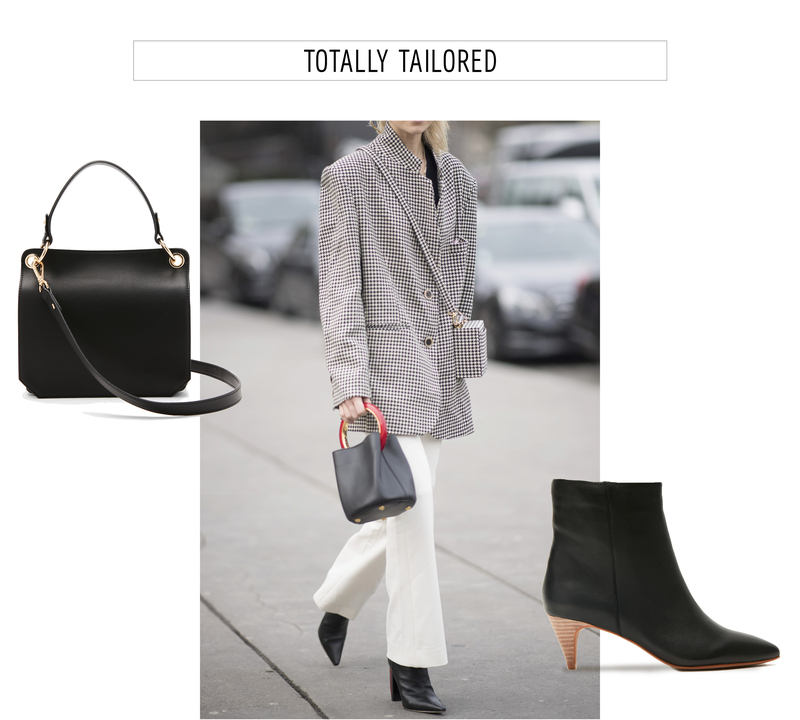 An of-the-moment checked blazer, western-inspired booties, and super-sleek handbag push the look forward with ease. For a street-wise spin on wide-leg trousers, tuck a fitted top into a paper-waist style for a figure-flattering fit. 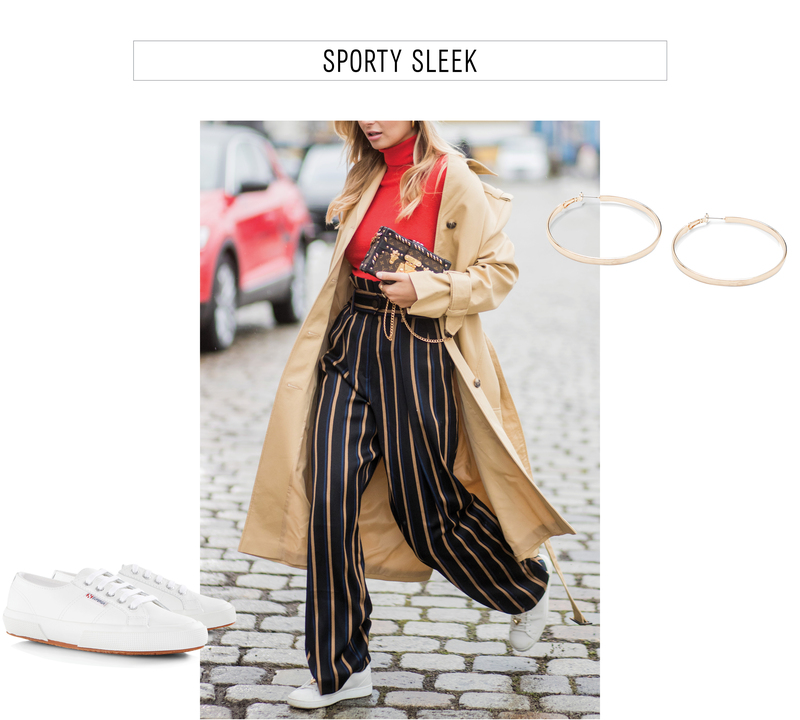 When topped with a fluid trench coat, white sneakers, and eye-catching cross-body bag, the effect is polished but cool. Embrace the fashion suit in look-at-me marigold. 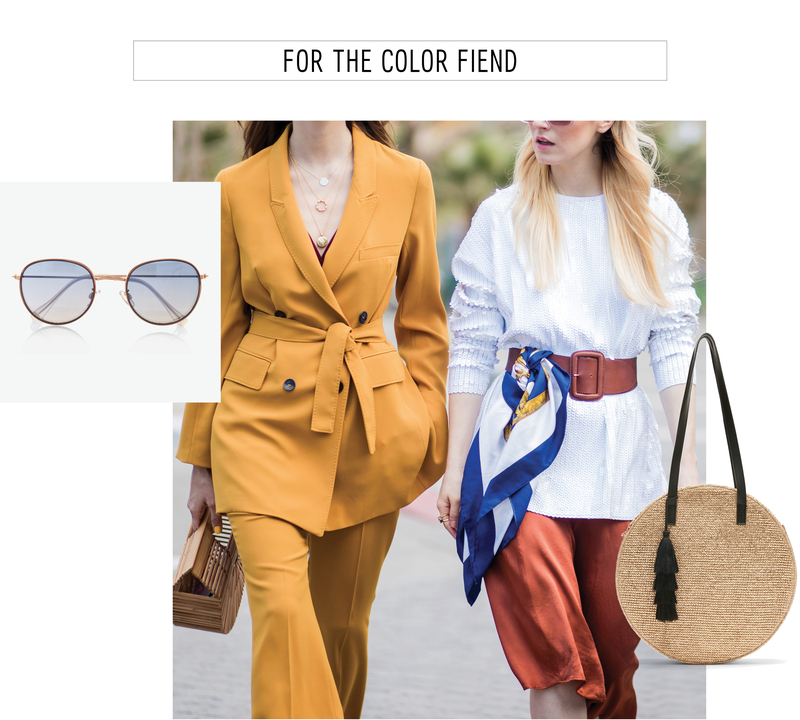 A straw bag and tinted sunnies are unexpected extras to soften the tailored set with summery flare. 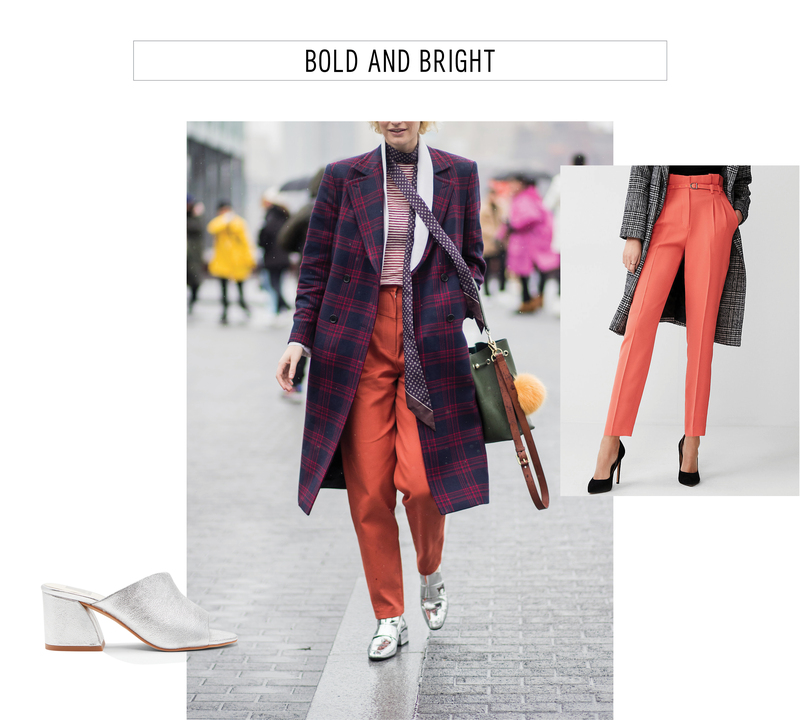 Who can resist a versatile plaid pant? For darling effect, add a frilled poplin top into the mix and finish with optic white mules and a mini bag for a fresh feel. The classic black pant is updated with a daring slit for added movement. A checked coat, sophisticated top-handle bag, and sleek mule temper the fun and modern silhouette. You know what’s better than a little flash of color? A big flash of color and prints and shine, all paired together! Ironically, bright hues are perfect with equally bright accessories, so go ahead: indulge.